sew? i knit! : Hi from Queensland! 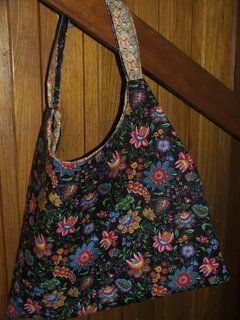 And finished bag #1!!! Hi, I'm Rachael and I'm sewing in Queensland, Australia. My blog; All it took was just 1 stich. 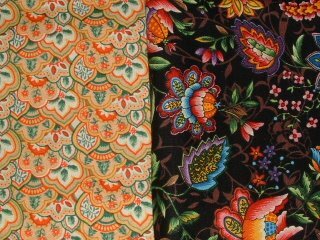 I've been sewing for a while, but suffer from the disease of grandiose plans and finishing phobia! So I thought a SAL was a good excuse to actually finish something and share that Amy obsession of mine with others who understand! I've set my self a bit of a task for this sew-a-long. 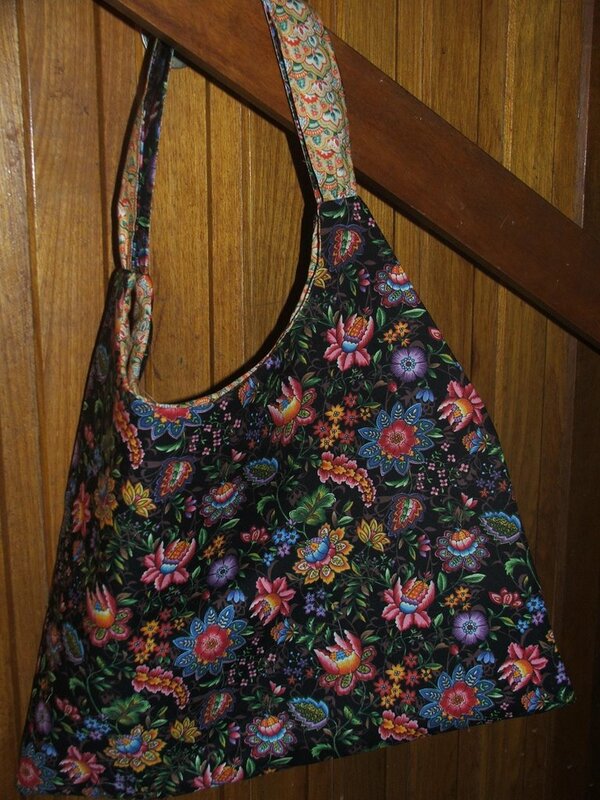 I've planned to make Amy Butler's Covington bag, the Swing bag and a box bag (b/c I am really petrified of zips!) using the tutorial available at Small Hands. I have been procrastinating a bit, and this morning I've just realised (!) why. I really don't like my chosen fabrics. 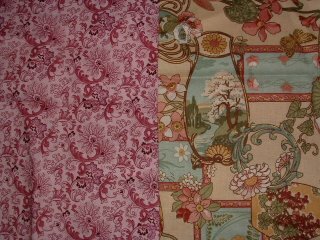 I was going to use fabric from my stash, (a bit of "use what you have" and a bit of limited cash flow! ), but sitting at my craft table this morning, staring at my choices, I decided to go for different combinations. Here it is! I'm gifting this one to my Mum for Mother's day (our's in in May) with a matching pin cushion, tape measure and needle book. And I'm still working on the Covington combination. But today, as I'm on holidays I plan to start the Swing bag. 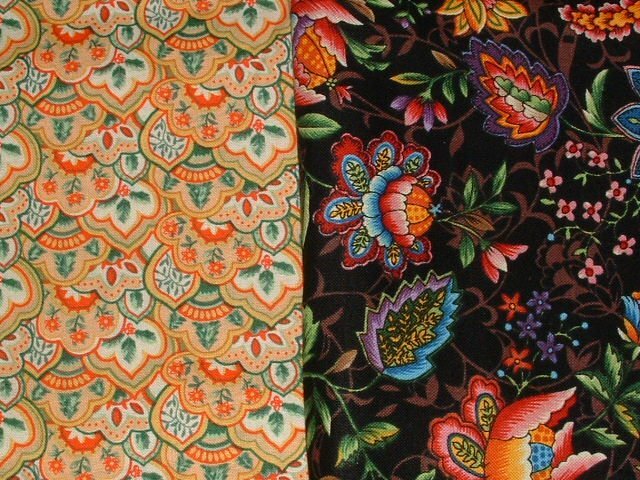 I'm hoping to get to my local quilt shop to pick out some new fabric, and stretch the craft budget just a tiny bit more for some fabric for Covington, we'll see. It's great to see what everyone else has come up with of late, very inspirational! Righto, I have a deadline, better go and sew!